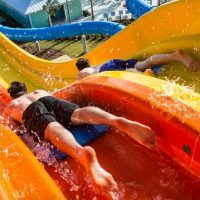 Planning your first trip to a water park? Use these tried-and-true tactics for an easy, fun, and tear-free day with the kids. 1. Make sure there’s enough for everyone to do. 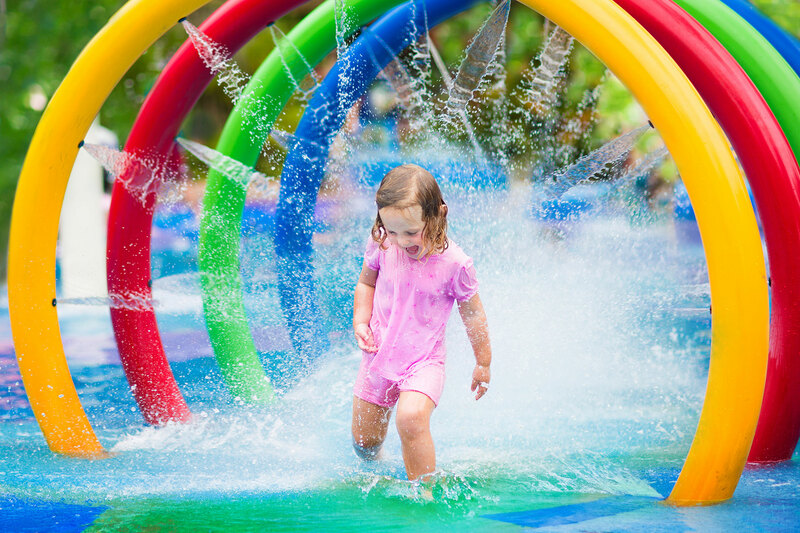 Water parks can be heavy on the thrill rides for older kids, which may not be suitable if you have pre-schoolers. Check the park’s website in advance for information on age-specific attractions. Arrive when the water park opens so you can claim lounge chairs and ride the choice waterslides to avoid long lines later. Conversely, go at the very end of the day. When we stayed at the Six Flags Great Escape Lodge in Lake George, New York, for example, its indoor water park, White Water Bay, remained open until 10 p.m.
3. 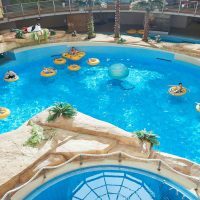 Sunscreen for indoor parks? Yes. Obviously, you need to apply sunscreen at an outdoor water park every few hours because it wears off in the water. But you may also need it an indoor park, depending on the type of roof. At both Six Flags Great Escape and Kalahari Resorts, signs advise that the Texlon roof allows for sunbathing. 4. Set up a meeting place. If you’re going to let your older children roam freely, always set up a meeting place, like your lounge chairs. They’re not going to have their cell phones with them if you text them that it’s time for lunch, and the PA systems are ineffective with all the ambient noise. Officially, the policy may be that outside food and drink is not allowed. We usually try to at least bring water bottles in to offset some of the costs of purchasing it onsite (and usually, we get away with it). 6. Bring your own towels. The water park may provide them, but they will probably be small, worn, and not very absorbent. If we’re driving to the destination and have room in our car, we bring our own towels. 7. Bring your own life vests. Find out before your trip what the height requirements are for the waterslides and attractions. 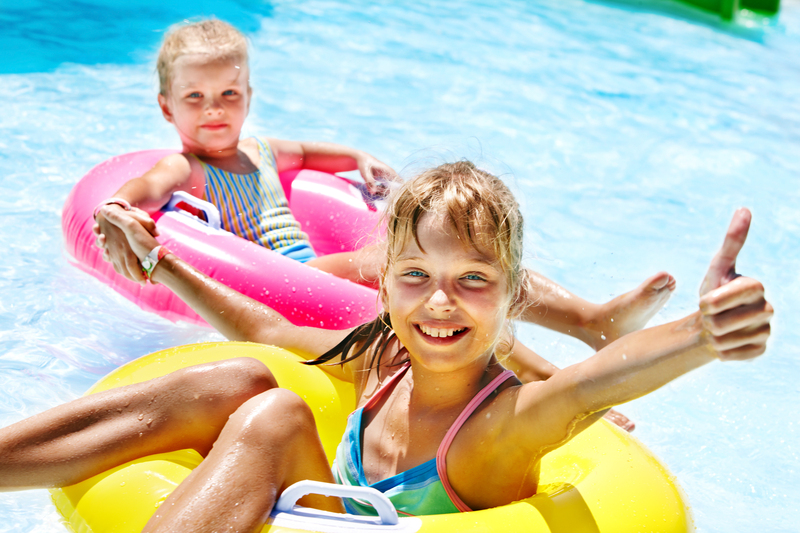 Your child may need a life vest, and you may want to bring your own. At Kalahari, we were caught off guard when a lifeguard approached us in the wave pool with a pole to measure our daughter. She needed a life vest, and had to wear one of theirs. It was ratty and frayed, and we weren’t thrilled that it had been worn by countless others. Speaking of lifeguards, check that there are enough for your comfort level at each attraction. It’s only happened once, but we prevented my son from going on a waterslide at one park because there weren’t any lifeguards posted at the top to regulate the spacing between each kid. 9. Wear swim shoes and other swimwear. Waterproof swim shoes are not the most glam footwear, but bring them. They provide a buffer between you and hot pavement; rough pool floor surfaces; and slippery walkways with standing puddles of water (ew). Bathing suits and goggles are also a must in a water park, obviously. 10. Provide incentive for leaving. Your kids will be having too much fun to want to leave. 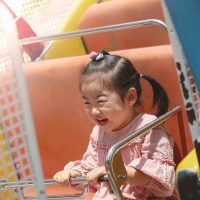 Our daughter is notorious for end-of-day meltdowns when we tell her it’s time to go. We now bribe her with the promise of ice cream on the way out in order to make a clean break with minimal distress. Hey, bribery works for us!